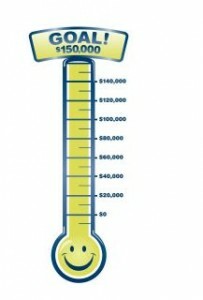 Cydcor raises more than $150,000! I’m constantly amazed at the dedication, perseverance, and commitment of our independent sales offices and internal Cydcor team members, and I’m extremely proud that we have met yet another goal. Collectively, we have raised a total of $150,000 for Operation Smile; the funds will be used for a medical mission to a remote locale in Peru, Cambodia, or Rwanda. Amazing work by amazing, dedicated people. How did we do this? By coming together and working hard to meet this important goal. In 2010, during our annual R&R event, Operation Smile Ambassador Barbara Majeski announced that all of the independent offices throughout the United States and Canada were challenged to raise funds for Operation Smile, a children’s medical charity that provides free cleft lip and cleft palate reconstructive surgeries worldwide. Barbara had put the program together and introduced everyone to this cause, which she was extremely passionate about. The offices immediately jumped on the opportunity, planning various fundraisers and events to get us closer to our goal. In fact, offices would often compete against each other, showing once again that once they put their minds to something, they accomplish it. At Cydcor, internal team members were working hard as well, raising funds among their family and friends and planning events throughout the year that would help them get to their internal goal. I’m so happy to announce that we were able to meet the $150,000 goal this month! We did it, and I am extremely impressed by the motivation that each team had to make this a reality. Think about it: Because of the perseverance of our people, we are able to make a significant difference in the lives of children across the globe. They will be able to lead entirely different lives as a result of our hard work. As a people-helping-people business, this is just another example of how we can work together and make tremendous things happen.